Babies and marriage go together like a horse and carriage? Our parenting blogger Meg Faure was intrigued to see some celebs also have problems with sleepless nights after the arrival of a baby and talks about how little ones affect relationships. 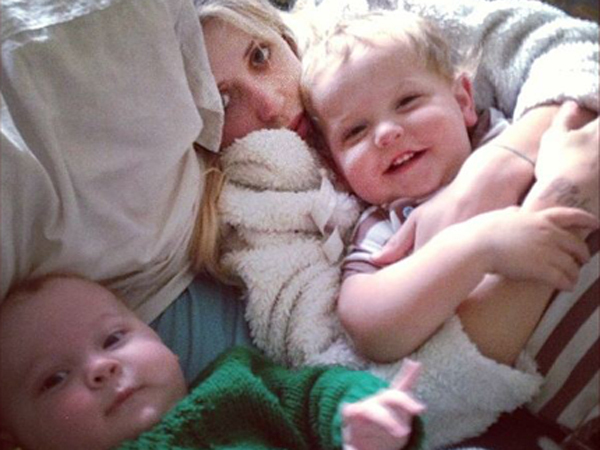 Mom Peaches cuddles toddler Astala and baby Phaedra in a picture on Instagram. Nothing can really prepare you for the birth of a baby and even less for the effect that precious bundle will have on your marriage. 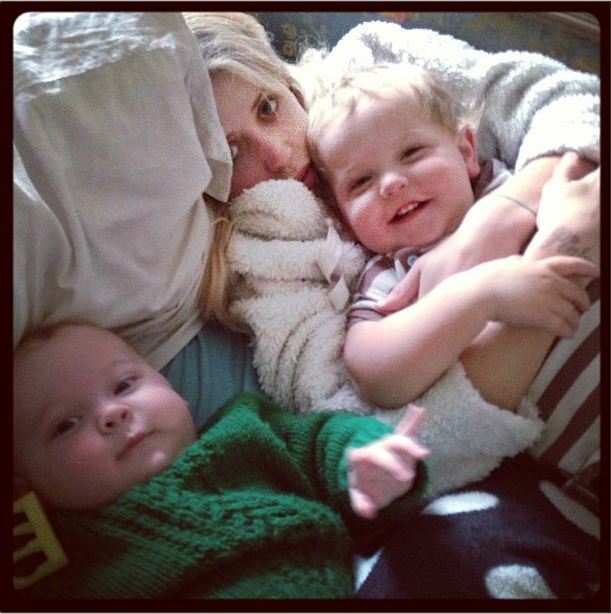 I recently read an article that Peaches Geldof’s second baby is keeping the household up at night. At five months old, little Phaedra’s crying so disturbs his 18-month-old brother Astala, mom and dad have ended up sleeping in separate beds to ensure the baby doesn’t disturb his big brother at night. Peaches, a British TV presenter and daughter of Irish singer and activist Bob Geldof, sleeps with Phaedra and her husband, singer Tom Cohen, sleeps with Astala in the spare room. There is something about this scenario that is comforting – even celebs have babies who throw them curve balls. It is very common to have mom and dad sleep in different rooms when baby arrives, especially if there is a needy toddler in the mix too. Mom may end up sleeping in the newborn’s room and dad with the toddler. This is clearly not ideal for the marriage and can create high levels of stress, with two fatigued parents who don’t have the extra resources to make their partner feel special too. Two key things to keep in perspective are firstly that these baby days do pass. With 15 years of hindsight, I can tell you that the newborn pressure of musical beds passes in a flash. It is not forever that a baby and toddler are so demanding. It is important that you meet your baby’s needs and sometimes that may mean creative parenting and bed swapping. BUT it does not need to be that way. Most babies can happily sleep alone in their own room from early one. It is not emotionally damaging and, in fact, can result in better sleep for all. Ultimately the decision is a personal one. Secondly it is important to remember that the primary relationship in the home is the marriage relationship. Whether you choose to co-sleep or not, your marriage is something that needs attention, even in the early days. Prioritise time together, prioritise an evening cuddle (even when you are tired) and prioritise listening to your partner’s feelings on the “family bed”. Three years down the line, the early demanding days will be unsettling but your marriage has to weather that storm and you need to pay attention to it. 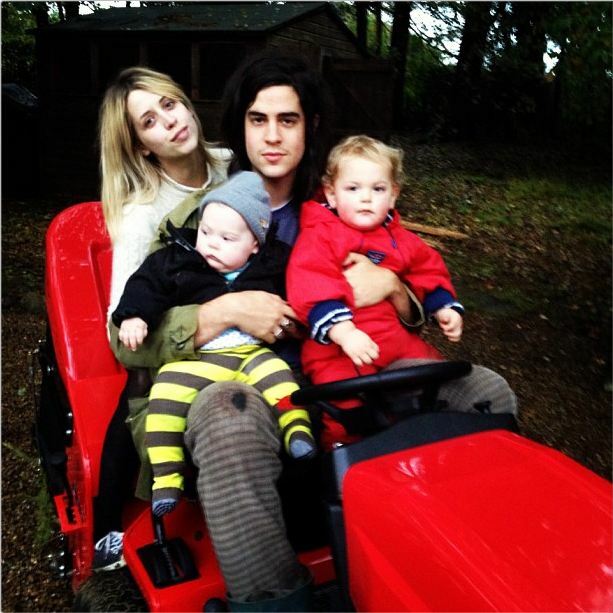 The good advice 24-year-old Peaches Geldof gives is to have a support system who will take the kids so you can spend proper time with your partner. At the end of the day, parenting together for life is the best thing you can do for your little one and that takes work.